1. Don’t round brush when hair is too wet. It’s a waste of time and arm strength! Until hair is completely dry whatever you do with a round brush will not hold. 2. Don’t use too much heat. Too much heat can quickly result in burnt hair, especially if hair is fine, fragile or already damaged. Use the appropriate amount of heat for your hair type to avoid damaged, lackluster hair. 3. Don’t point blow dryer up. This disrupts the cuticle of the hair and can result in frizzy, dull hair. Keep dryer directed from roots to ends of hair to promote shine. Creating a lovely blow out on your own hair is possible! 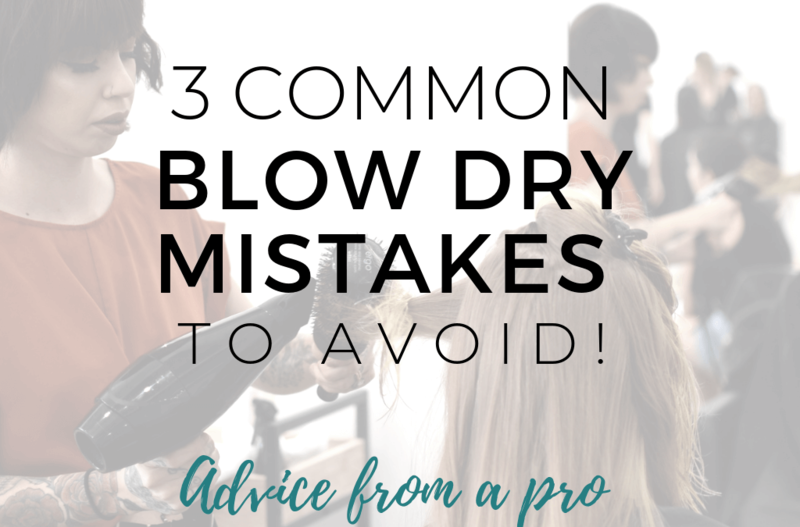 With a few simple tips and tricks anyone can learn to blow dry like a pro, I promise. For a step-by-step breakdown of the blow dry process join us for our next FREE Community Class, D.I.Y. Blow Dry Like a Pro on Sunday, February 24 from noon – 1 pm. We will share all of our professional secrets and send you away feeling confident and ready to style.